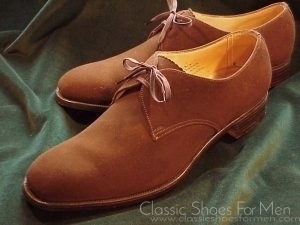 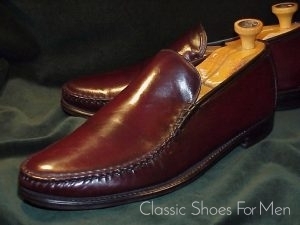 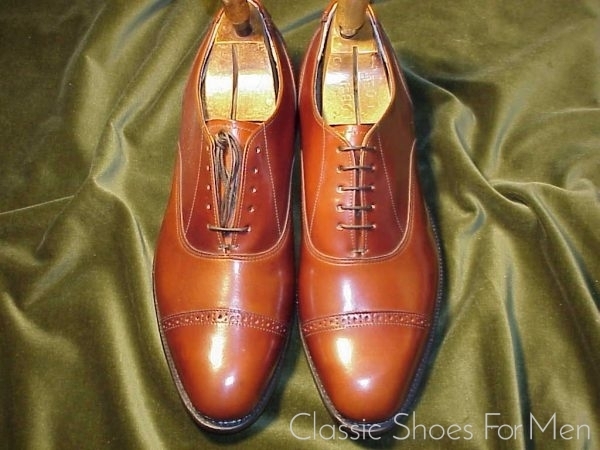 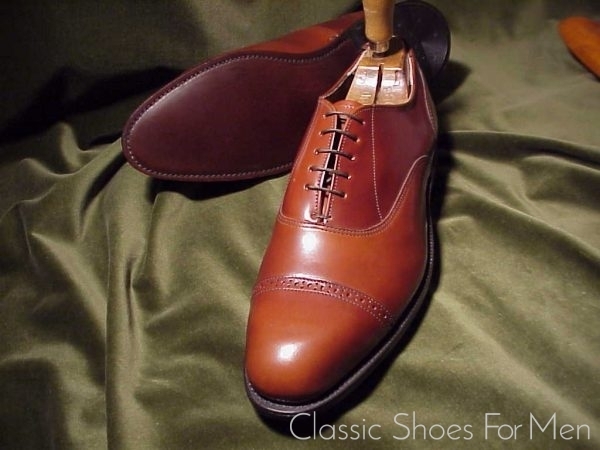 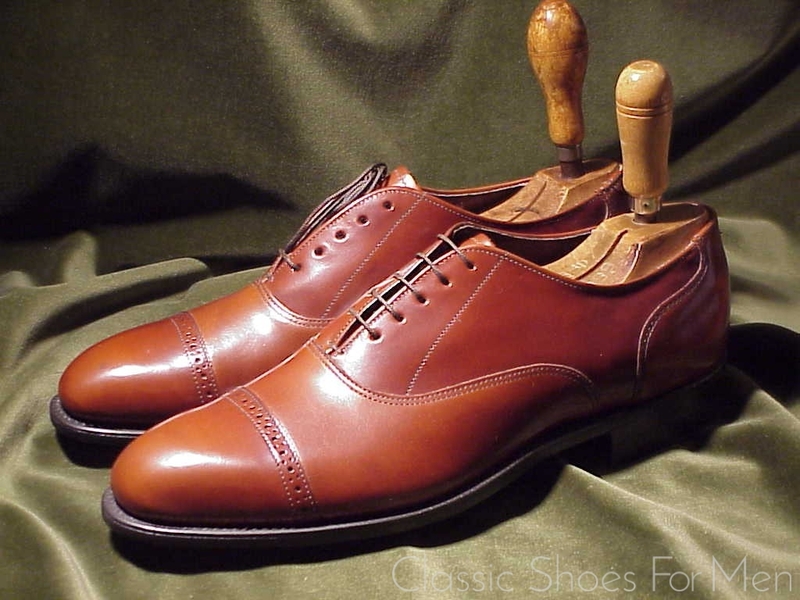 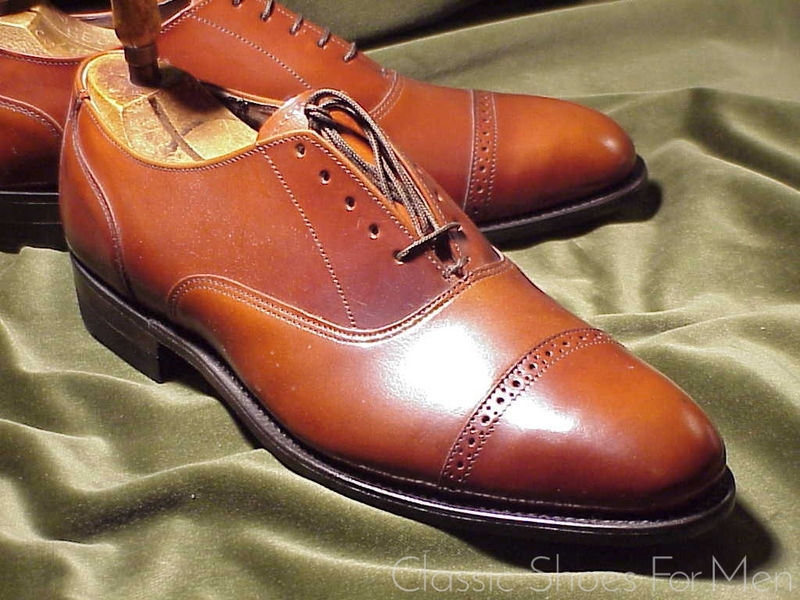 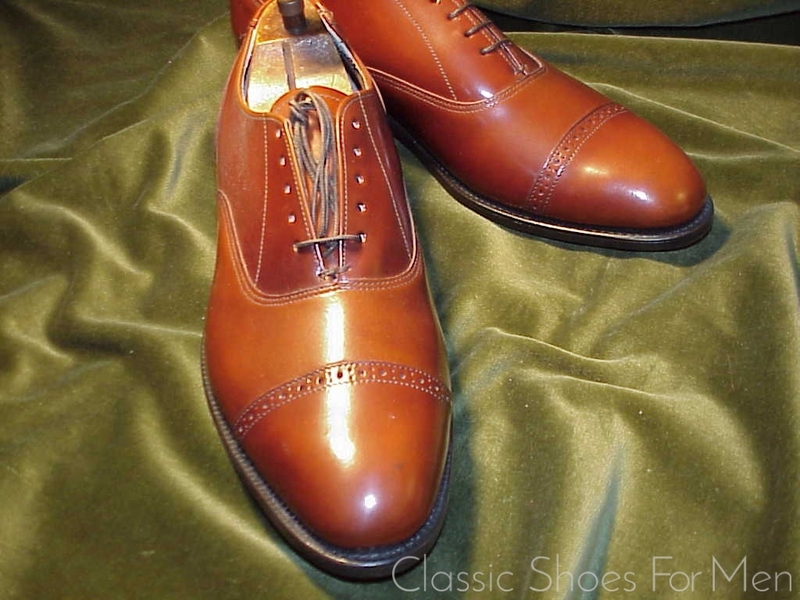 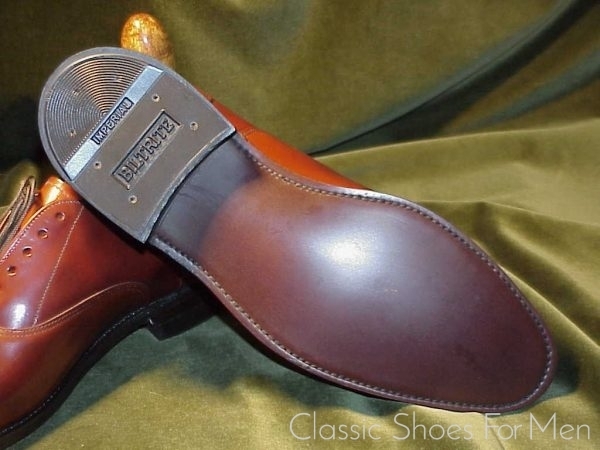 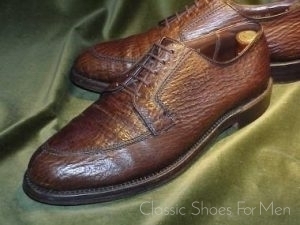 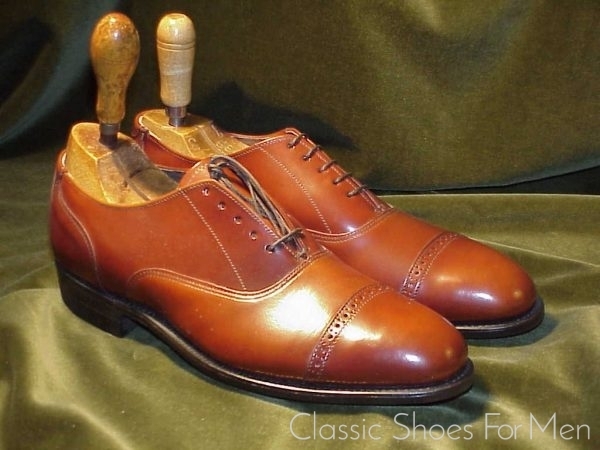 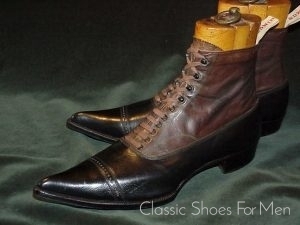 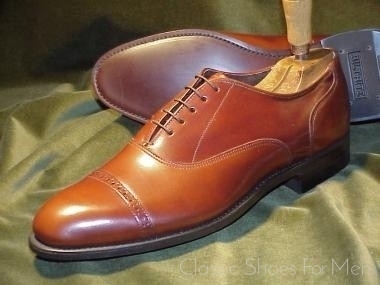 The once significant firm of Stuart McGuire offering fine English and American-made shoes such as the one shown here, exists today as a shell corporation for imported shoes of doubtful quality. Stuart McGuire is one of the 200-plus American shoemakers that succumbed over the years to cheap foreign competition, and one of the ones most missed. This charming Cap-Toe Oxford, with its disreet line of brogueing at the margin of the cap, was made, however, in the heyday of the firm. 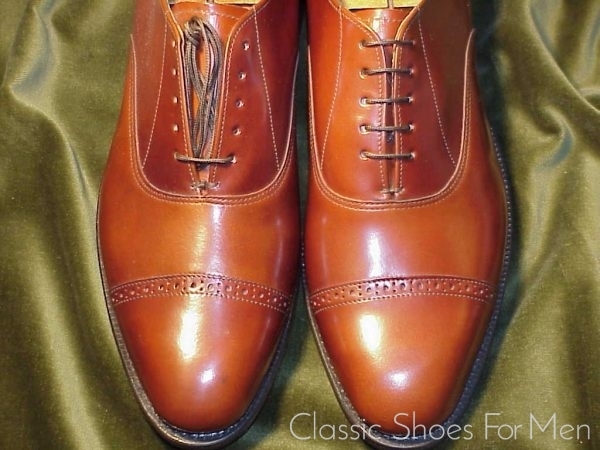 It is an undisputed classic, harkening to pre-war models, its place long established in the pantheon of gentlemen’s footwear. 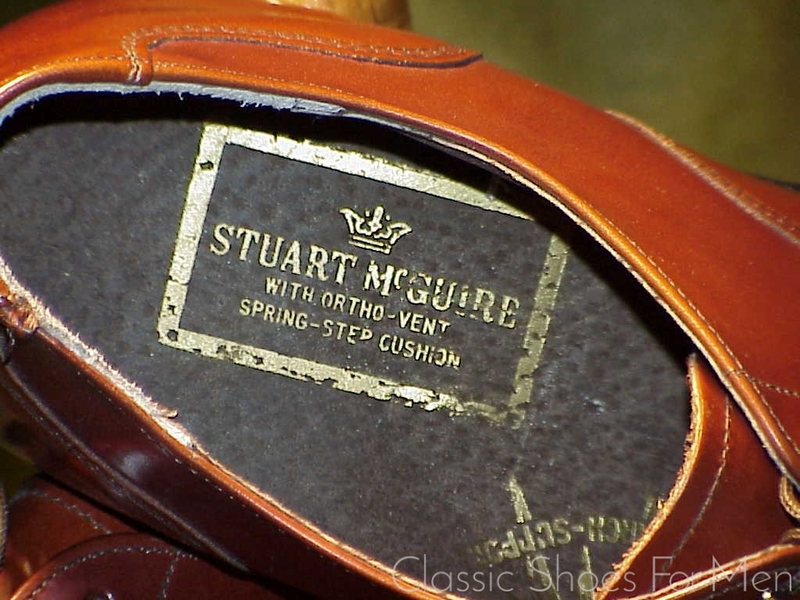 With McGuire’s patented foot-saving “Spring Step” inner sole. Size: US 9.5-10D……UK 8.5-9E……European 42.5-43D, for the medium width foot. 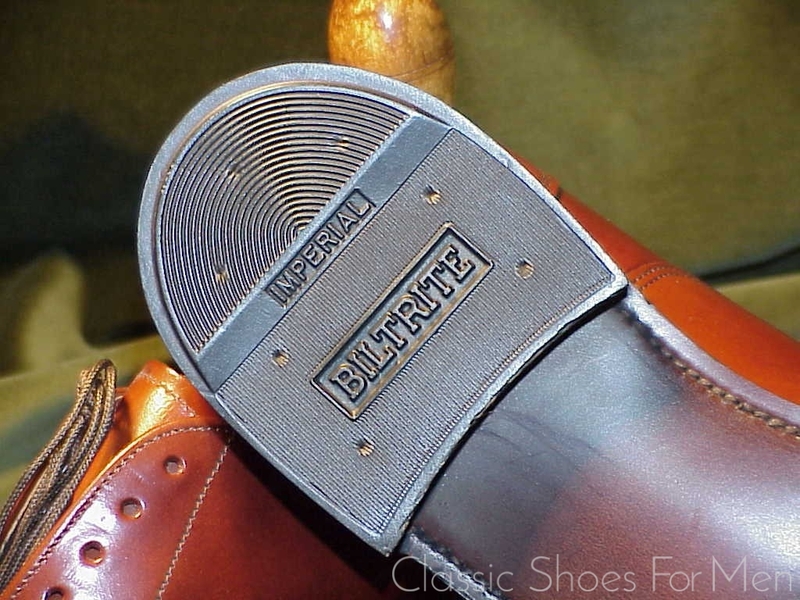 Postage: Innerhalb Deutschlands Euro 6,90; France Euro 14,20; Japan and the Far East Euro 22,10…US$12.